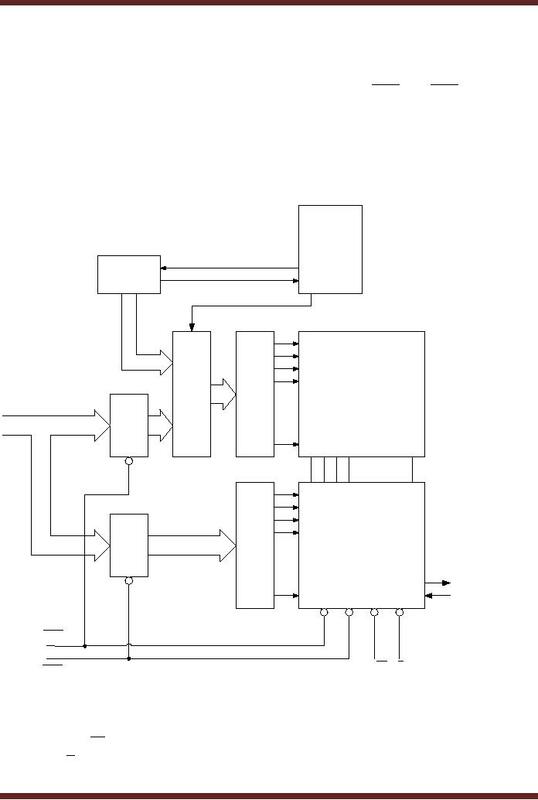 Memory Write Cycle controls the memory for writing of data. respect to the high-to-low transition of the OE signal, valid data appears on the data lines. 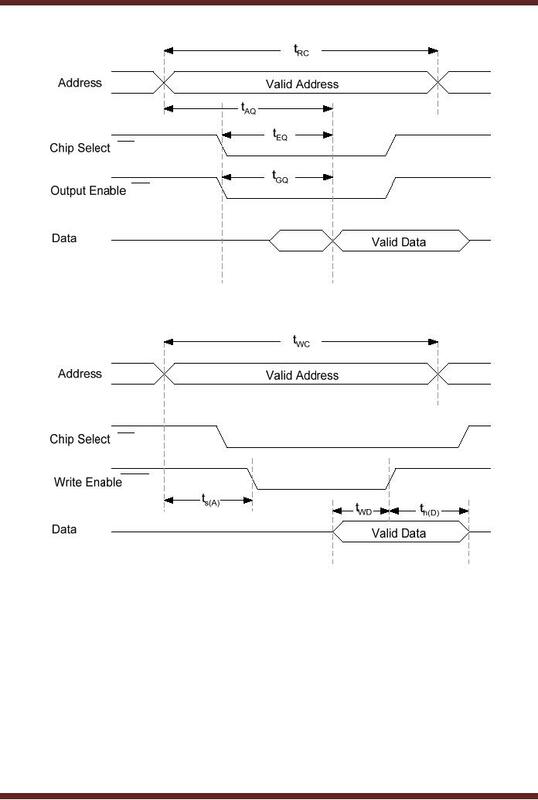 high-to-low transition of the chip select signal CS . remain valid for a time th(D), hold time after the WE signal is deactivated. to synchronize its activities to synchronize the read and write operations for faster operation. The block diagram of a Synchronous Burst SRAM is shown. 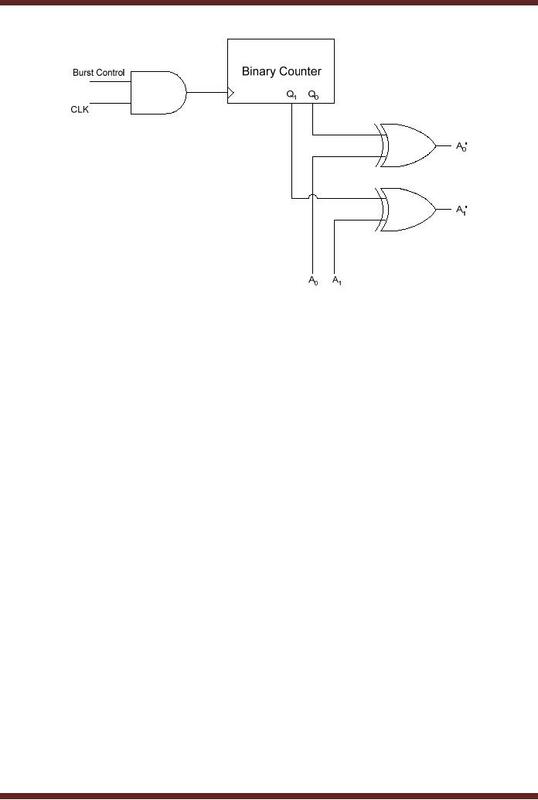 Figure 40.5.
in the data read from the memory array. addresses 37A0, 37A1, 37A2 and 37A3. 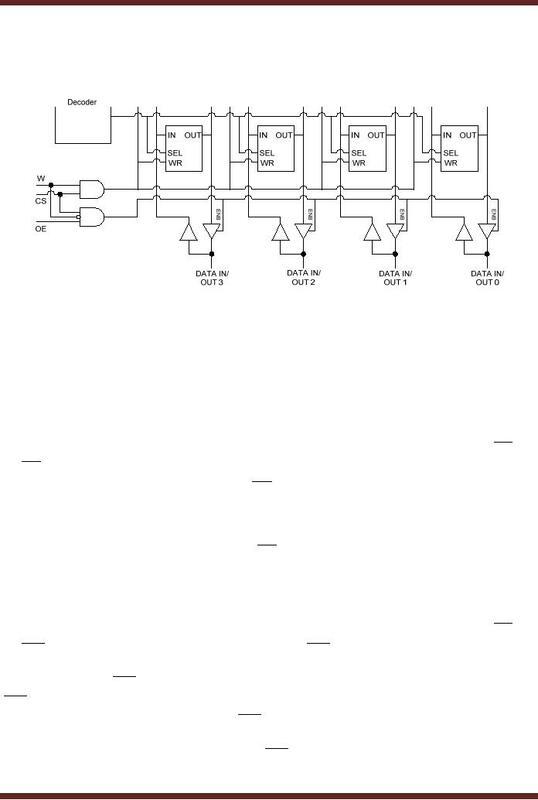 The detailed Burst Logic circuit is shown. Figure 40.6. (DRAM). The drawback of DRAM is the discharging of the capacitor over a period of time. complicates the operation of the DRAM. 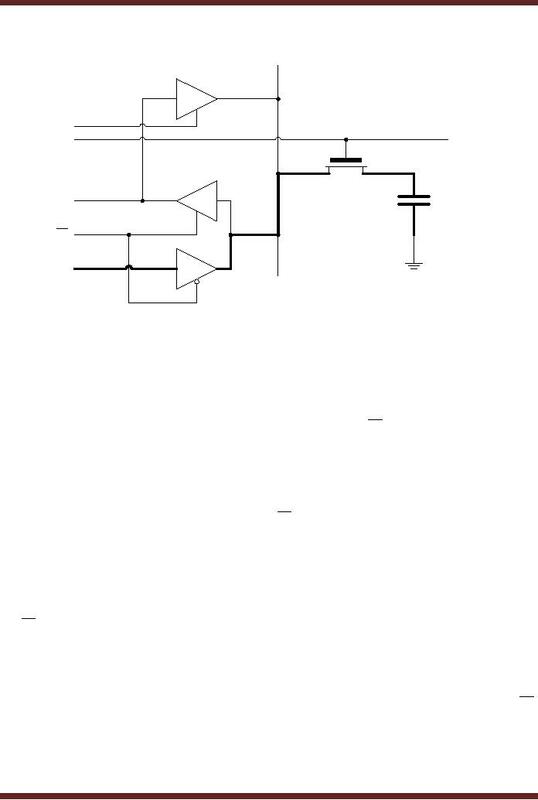 The circuit diagram of a single DRAM capacitor based memory cell is shown. column line form the capacitor. DIN to the storage capacitor. capacitor is available at DOUT through path DBA. Figure 40.7b. through a refresh cycle. The Refresh Buffer is enabled by setting the Refresh signal to high. 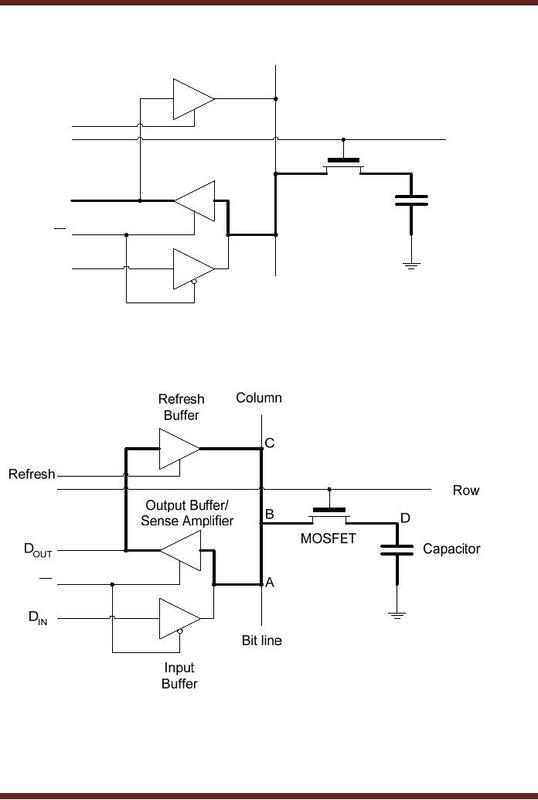 feed back to the capacitor through the Refresh Buffer via path CBD. Figure 40.7c. 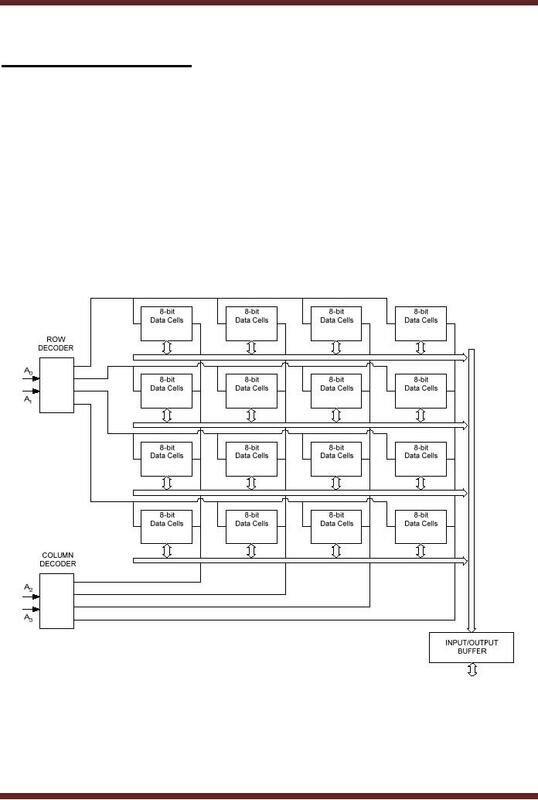 DRAM chips use address multiplexing to reduce the number of address lines by half. 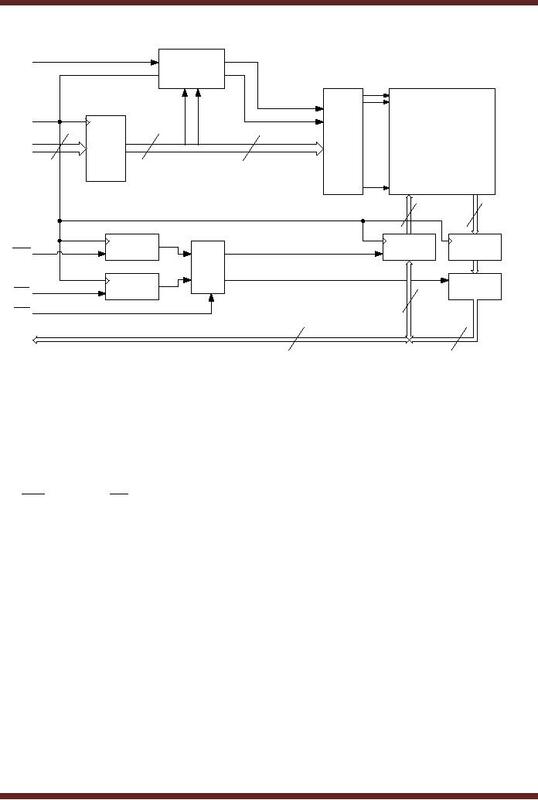 Decoders which select a single row and column line selecting the storage cell to be accessed. and 1024 columns is refreshed by selecting all the 1024 rows in a sequence.